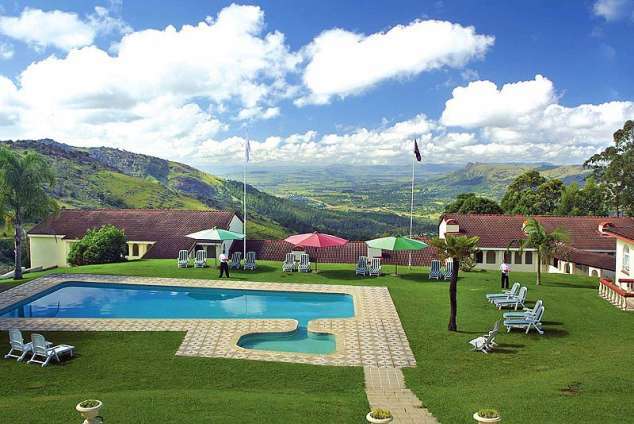 Mountain Inn Hotel - Mbabane Accommodation. The Mountain Inn offers superb cuisines, fully equipped meeting and conference facilities, television in all rooms and secure parking. All this incorporated into breathtaking views embracing the space and grandeur of Ezulwini Valley , the valley of heaven. We are 35kms from Matsapha airport. We have mountain bikes, birding excursions and many hiking trails. By arrangement we have access to golf courses , fly fishing, horse riding and a cultural village . The owners and reception staff are qualified to advise and assist guests in experiencing all that Swaziland has to offer. 19702 page views since 27 May, 2010. Last updated on 29 Mar, 2018.